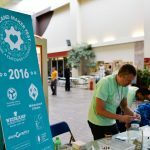 Heartland Maker Fest 2017 is Almost Here! HMF is almost here! 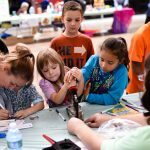 Makerspace Urbana is thrilled to announce our annual Heartland Maker Fest! 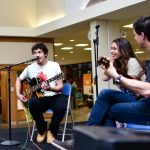 On Saturday, October 14, 2017 at Lincoln Square Mall in Downtown Urbana, makers, tinkerers, creators, inventors, DIYers, and musicians will gather together to share their work with the public. We are bringing an exciting collection of makers and performers to you this year, including some familiar faces and some new additions! 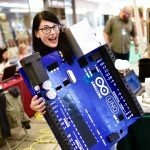 In the spirit of Makerspace Urbana, we are proud to showcase talent from local creative communities who are eager to share and play with other each other and the community at large. We show how art and science can meld together, and provide a hands-on approach for those who are inspired to create and learn. To Inspire by searching for creative and unique ways to exhibit at the festival. We hope the creative process of others inspires our attendees. To Empower by focusing on hands-on experience, we hope people feel empowered to make their own project a reality. To Connect by creating a free and open public festival we hope to connect attendees to the local resources they need to help make their ideas come to life. This event is free to the public, but donations are welcome.